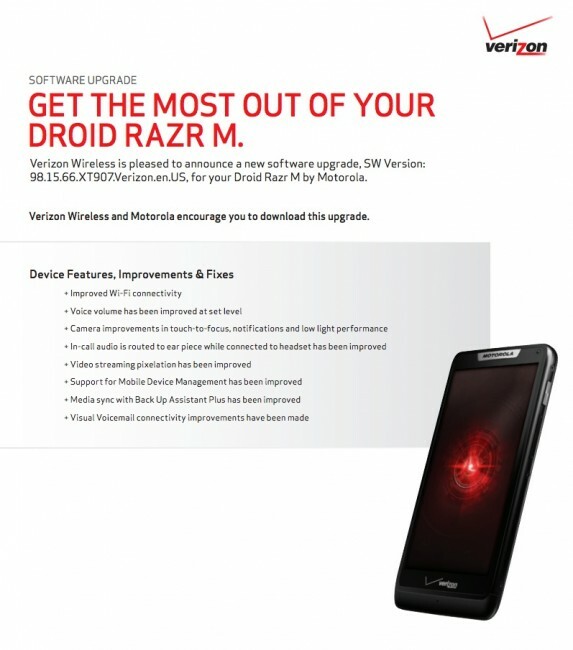 The “maintenance” update for the Motorola DROID RAZR M that was approved by Verizon last week as build 98.15.66 started rolling out to users over the weekend. It’s not Android 4.2, but does improve WiFi connectivity, voice volume, camera features, in-call audio while using headsets, video streaming, and more. To try and pull the update yourself, head into Settings>About phone>System updates.